I visited the Jozef Peeters apartment on De Gerlachekaai 32 in Antwerp. The apartment overlooks the Schelde and features artwork by Peeters himself, including murals and furniture he designed. Also, there is work by Michel Seuphor (personal favorite) and Jo Delahaut. Photo: On the table of the living room: The last book Godelieve Peeters (his daughter who preserved the apartment as total artwork until her death in 2004) was reading before she died. On it are her glasses. It has been conserved as a crime scene. I imagine her falling dead on her book. There is a letter from De Witte Raaf under the book. 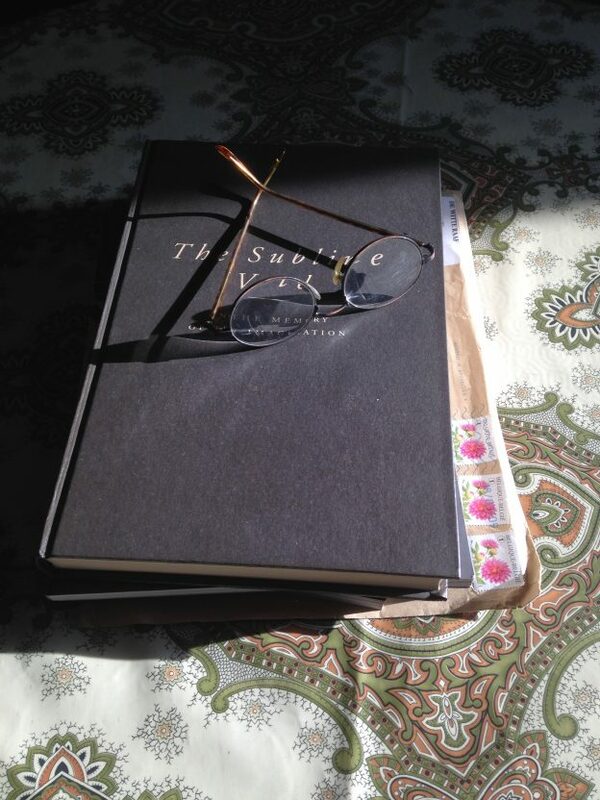 The book is The Sublime Void. I used to live in the apartment on the other side of the street, our windows faced each other. At the time, this must ‘ve been around 2000, I did not know who Jozef Peeters was. This entry was posted in art, avant-garde, Belgium on March 3, 2018 by jahsonic.